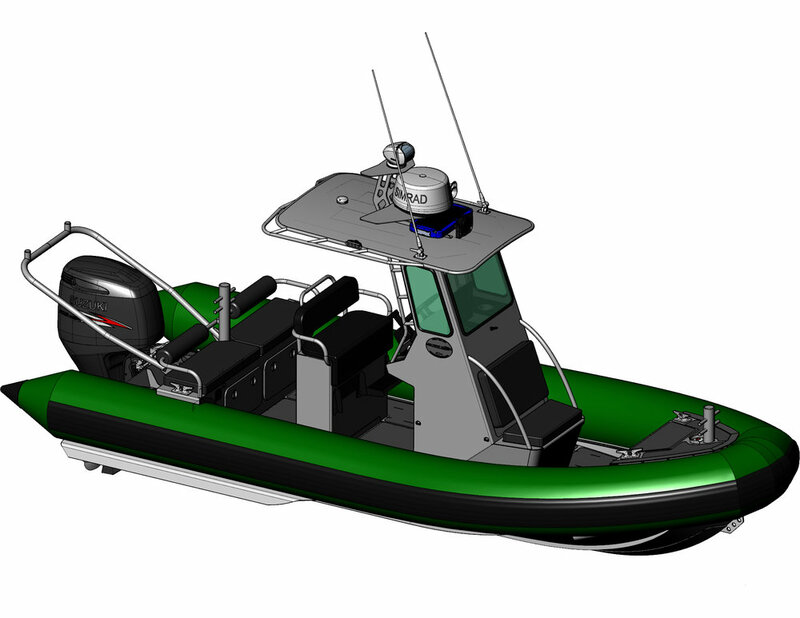 We are proud to announce a new 22FT RIB design has been completed and the plate has been ordered to start construction. 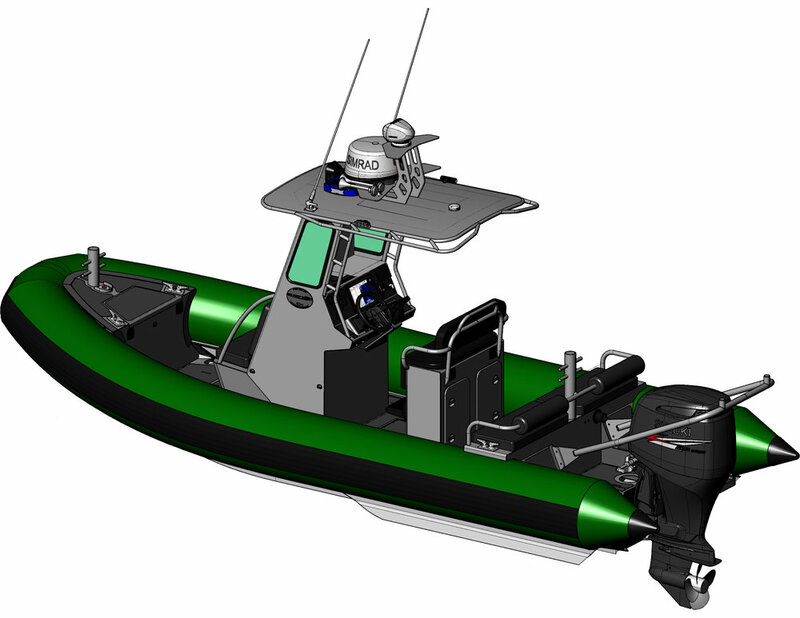 This design incorporated some of our new familiar design ques as well as a few new innovate approaches to the classic RIB center console configuration. As one of the fundamental boat styles used but both government agencies and recreational uses from the Pacific to Atlantic coasts we decided it was time for us to put our unique flair on it. 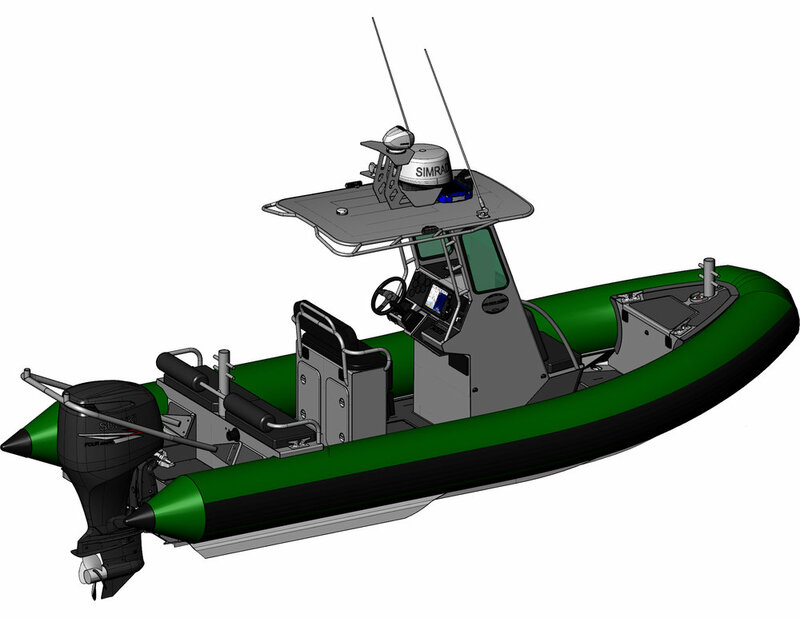 With a 30" wide center console and seating on both the front and rear of the boat. You can easily accommodate any mission. The main bench seat at the helm can also be swapped with a suspension style, or jockey style bench seat. Propulsion packages can range from a single 115HP up to a 250HP outboard. For pricing details please contact our sales team and so we can tailor the package better for your needs. Life Proof Boats is proud to announce the completion and delivery of a new 21FT Hard Top boat to our growing fleet of models. 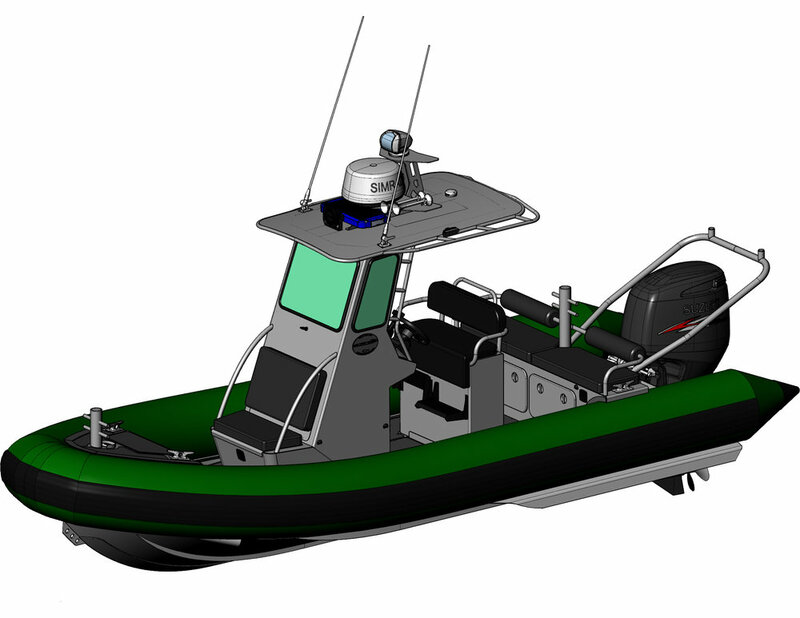 The design concept for this boat came from the love for a hardtop that is simple and can be offered at more of a price point to the market. We also love having a glass windscreen for the fact that you can then have a wiper blade. The glass was direct glazed and looks fantastic. There are lots of options for seating in the boat depending on the activity and guest count. With seating for 6 in the front or 6 in the boat, this boat offered lots of versatility. The driver and navigator seats sit behind a 50" wide console and are mounted on 4" suspension pedestal style seat posts offered by Taco Marine. They also have 6" of slide fore and aft with a 180 degree swivel option. For those cooler winter months you can option a full canvas enclosure that will keep you out of the weather, and if desired we can also install a diesel heater in the console. The rear bench converts to a sun pad within seconds to add another dimension to the boat for those wanting to lounge in the sun. Rear seat in the up position. Rear seat converted to sun pad. With a large section of power options you can use this platform in almost any situation. this first model was outfitted with a single 150HP Honda outboard, but could handle up to a 300HP Outboard. Speeds with the 150HP power plant topped out at 38 mph no matter if the boat had 4 adults on board and a full tank or just 1 person. Cruise speed is comfortable around 26-28 mph and at these speeds you will only be burning 6-6.5 gallons/hr. The deadrise of the hull is our desired 22 degree deep vee so it cuts through the water with ease. This hull also includes our delta shoe and performance fins, so it can turn on a dime. Overall weight of the boat came in around 4300 lbs as configured. The majority of the weight is decks down, keeping the vertical center of gravity very low, adding stability and ride quality. The hull plate on this boat will be offered as either .25" or .190" depending on the HP and water line length. Decks are welded down and two 4" rear and two 3" FWD deck scupper help to evacuate any water that finds its way inside the boat. For those looking for a built tough little T-TOP that was very well thought out for life on the water this boat delivers. It shares all the great features we love with our bigger boats and puts them into an affordable, highly versatile platform that can sit almost any lifestyle.